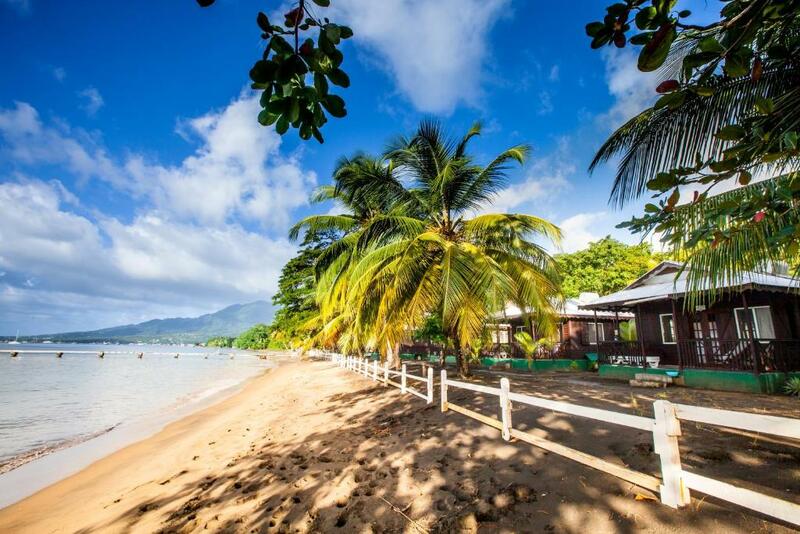 Lock in a great price for Picard Beach Cottages – rated 8.1 by recent guests! The environment was the highlight of our stay. It provided a sense of security and comfort. 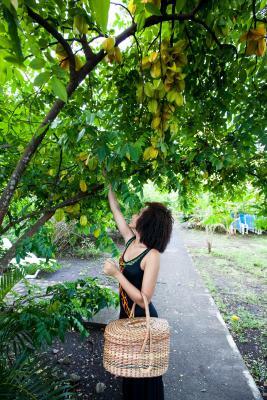 Unlimited access to the beach and fruit garden made our weekend away even more special. AC availability improved our comfort. Staff were helpful. Housekeeping staff pleasant. Room very clean. Bed soft and warm. Staff was always smiling, helpful and courteous. Cottages were quaint and pretty. Location was awesome. Price was worth it for beach front cottage. Restaurant and food were good. Rooms are on the beach, amazing view but overpriced for what they are. Breakfast was good. Restaurant clean and comfortable. Walking distance to shops and restaurants. Cottages are roomy. Convenient to Ross Medical School. Clean and everyone is very friendly. Nice toiletries and tea and coffee provided. Comfy bed and very peaceful. 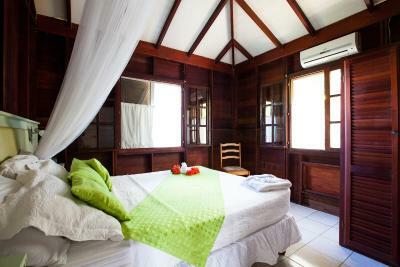 Cottages are located at the beach, surrounded by lovely gardens thus you fall a sleep with sound of waves. Also it's clean, and neatly kept, the cleaning service is daily and good. In the morning you readily fall in the sea for a swim. Kitchen cattlery were new. Hôtel provides mosquito-nets. You sleep in fresh air!!! Staff is very helpful. The location is beautiful! It was romantic and therapeutic. I slept well with the sound of the sea. The cottage was also marvelous and comfortable. The staff was friendly and helpful. I would love to visit again. On 6 acres of an old coconut plantation, these private cottages offer access to the beach and views of Prince Rupert Bay. A spa center with massage services is also available. 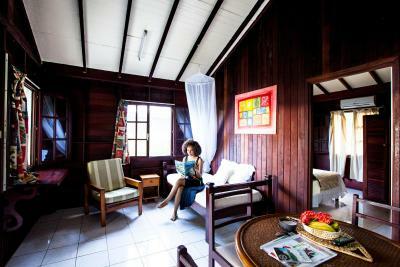 A private balcony, cable TV and a kitchenette are in each decorative bungalow at Picard Beach Cottages. Each bungalow is either right on the beach or next to the fruit and flower gardens. 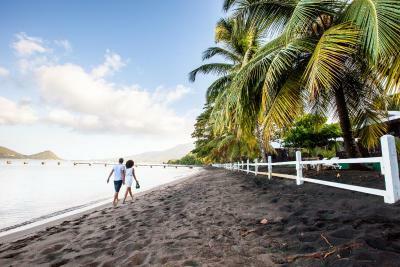 Guests at Picard Beach can enjoy water sports including snorkeling along the reef, scuba diving or kayaking in the bay. A tour desk and a laundromat are available. 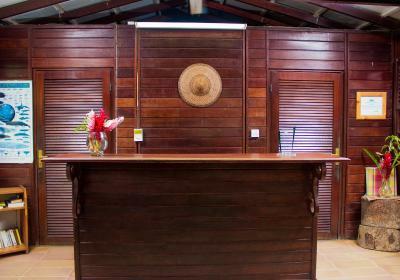 Le Flambeau Restaurant & Bar is located next to the resort and serves a menu of local and continental dishes. A wide selection of cocktails is also offered. Fort Shirley is less than a 5-minute drive from the cottages. The Indian River is a 5-minute walk away. When would you like to stay at Picard Beach Cottages? 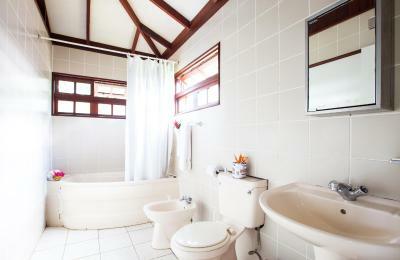 This larger bungalow offers a view of the ocean and is located next to the fruit and flower gardens. Also features a spa tub and a kitchenette. Offers direct access to the beach. Also features a spa tub and a kitchenette. House Rules Picard Beach Cottages takes special requests – add in the next step! Picard Beach Cottages accepts these cards and reserves the right to temporarily hold an amount prior to arrival. Beachfront, beautiful view and quiet. The restaurant was ok except for flashing lights and loud music. I liked my stay there but there is quite a room for improvements to justify the price performance. There is no hot showers. Some of the furniture is weared out. Restaurant food is not tasty, and overpriced. Common toilets close to the restaurant we're out of order. If you have not rented a car your transportation will be overpriced or you will need to enjoy heavy negotiations. With some luck taxi to Roseau can be 100 Dominican dollars. The air conditioning unit had a leak. I would suggest a maintenance check up before handing over the cottages to guests. No additinnal services as : TV, breakfast, dîner, etc. Walking from the cabin straight onto rhe beach. The restaurant is pricey and underwhelming. Would be nice to have a broom in the cottage to be able to sweep the portch. Cottage facilities were very rustic. Some appliances did not work. Staff was not available for any needs after 7-8 pm. Overall it is a small property, all bungalows, a lot of bugs at night, nothing they can really do about it though. Just be ready! Bathroom was very old. Shower handle broke. Needs renovation. I would have been fine if we paid half of what we actually paid but if price is at a certain level, so as the product should be. They have security guys walking around and turning on all the lights at night in all the bungalows. So privacy and relaxing is almost impossible after dark. Bungalows are extremely close to each other. Inside rooms, lighting is really bad. They have florescent lights that distract and disturb. They need softer lights. Customer service at the restaurant was good. Beds are to hard and very uncomfortable. Restauran on propeery is always out of menu items. Too dark at night. Need additional lights on property. We had visited twice and they just informed us that they give a 25% to families of Ross Medical student families.